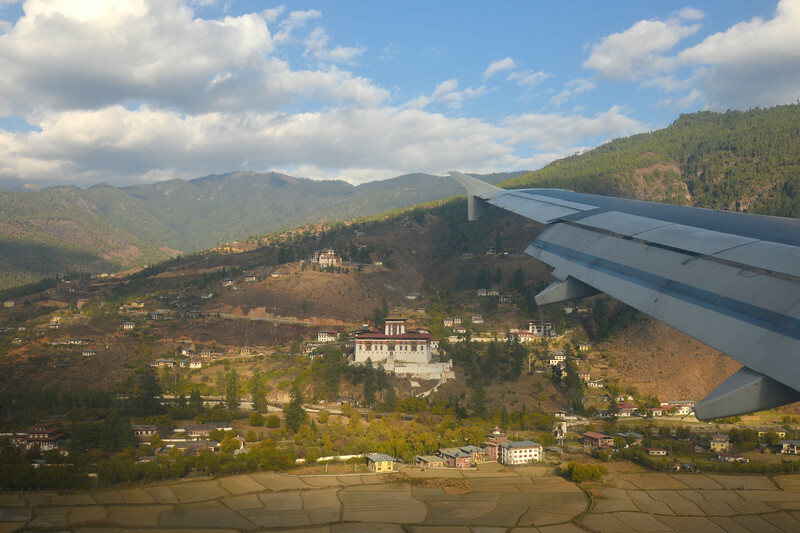 National Assembly of Bhutan, Gyelyong Tshokhang, Thimphu Bhutan seen from Tashichhodzong. 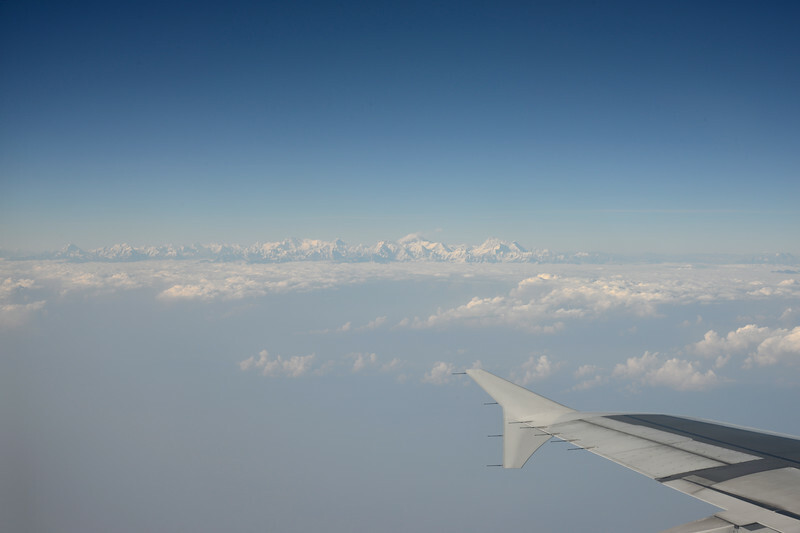 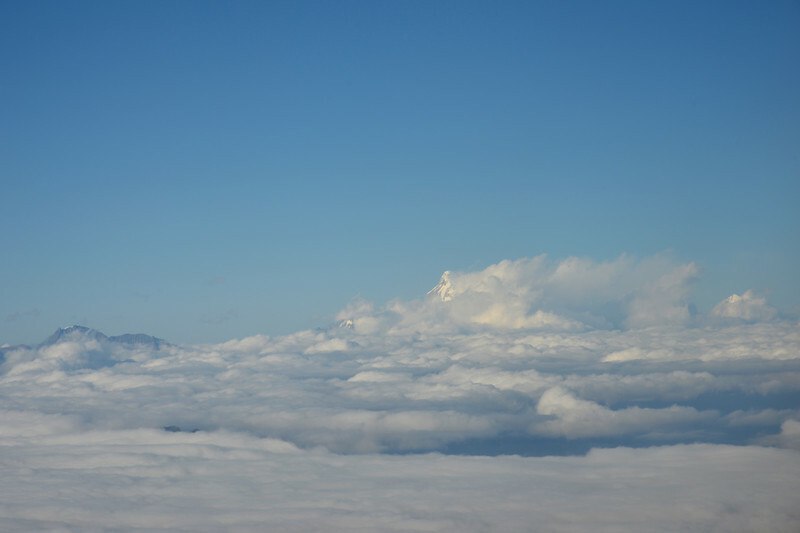 Panoramic view of the Himalayan range enroute flight from Mumbai, India to Paro, Bhutan on Druk Air flight. 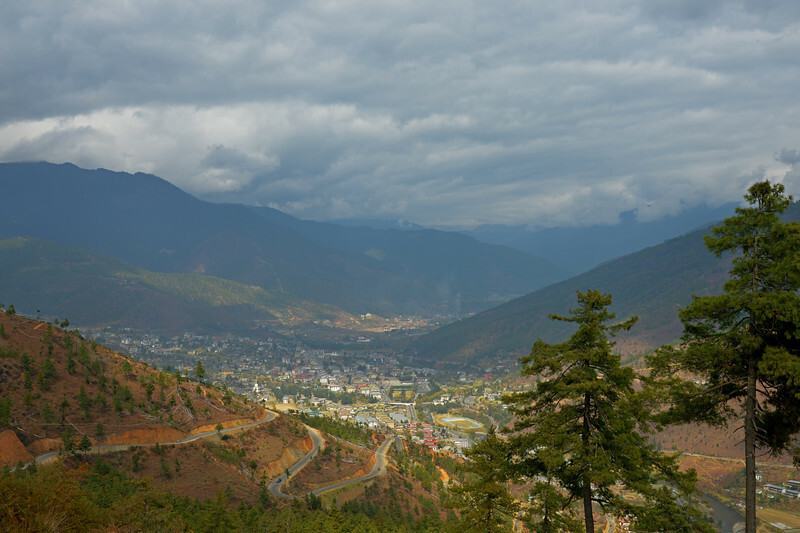 Panoramic view of Thimphu city, Bhutan. 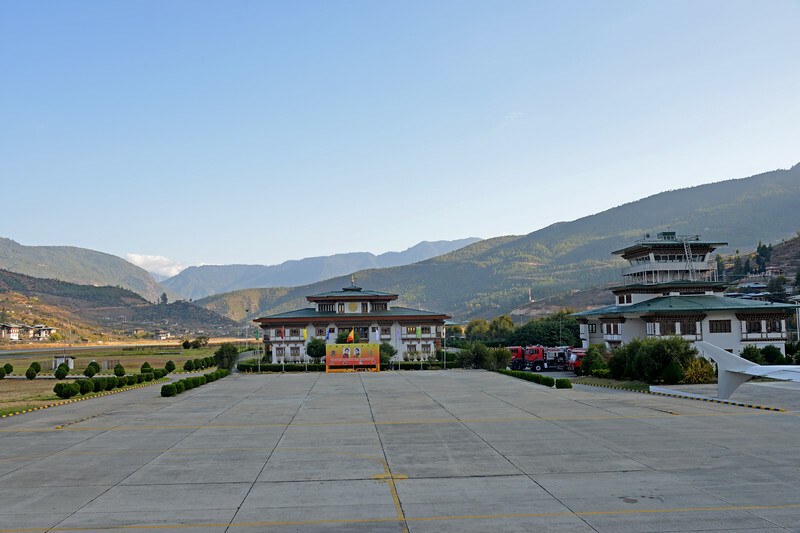 Panoramic image of National Assembly of Bhutan, Gyelyong Tshokhang, Thimphu 139, Bhutan seen from Tashichhodzong. 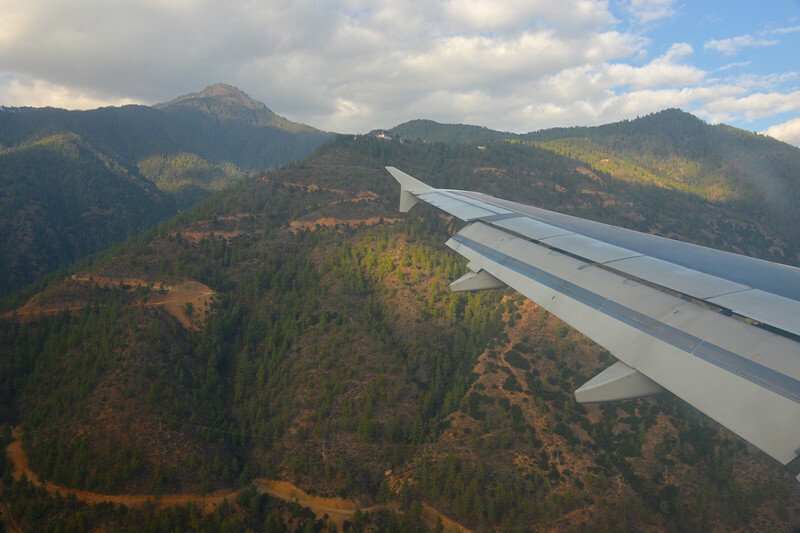 Panoramic view from our room at Taj Tashi, Thimphu, Bhutan. 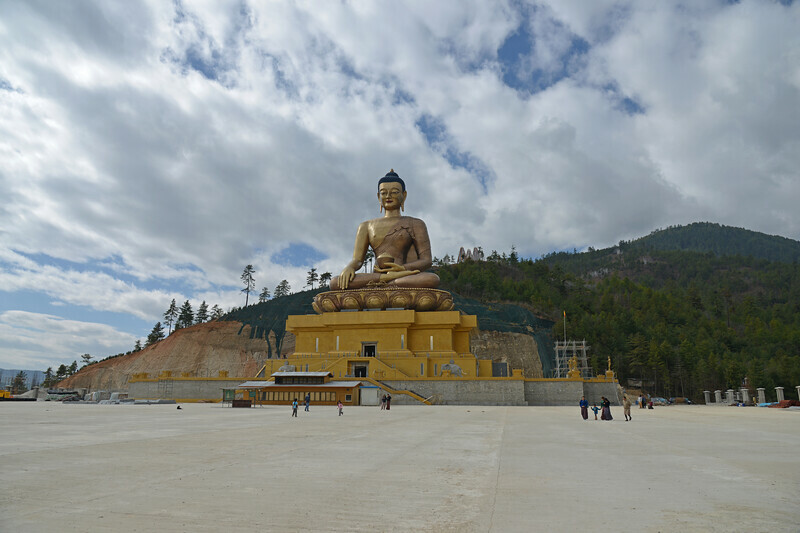 Panoramic view of Semtokha Dzong, Semtokha, Thimphu, Bhutan. 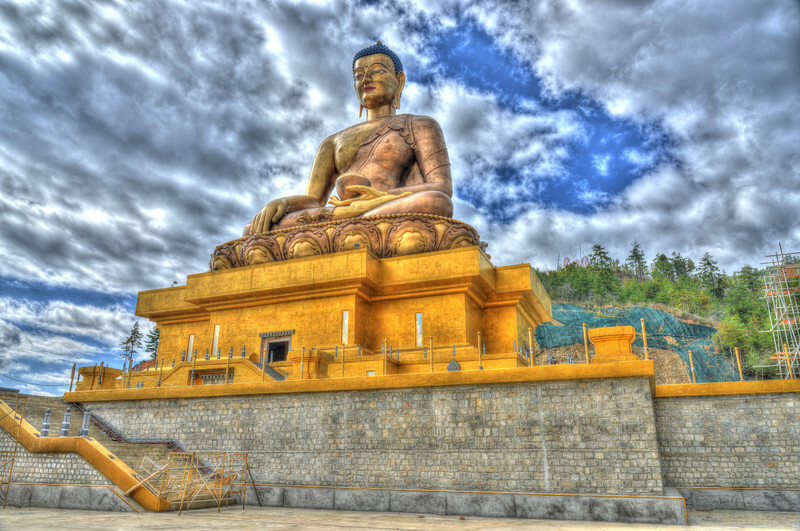 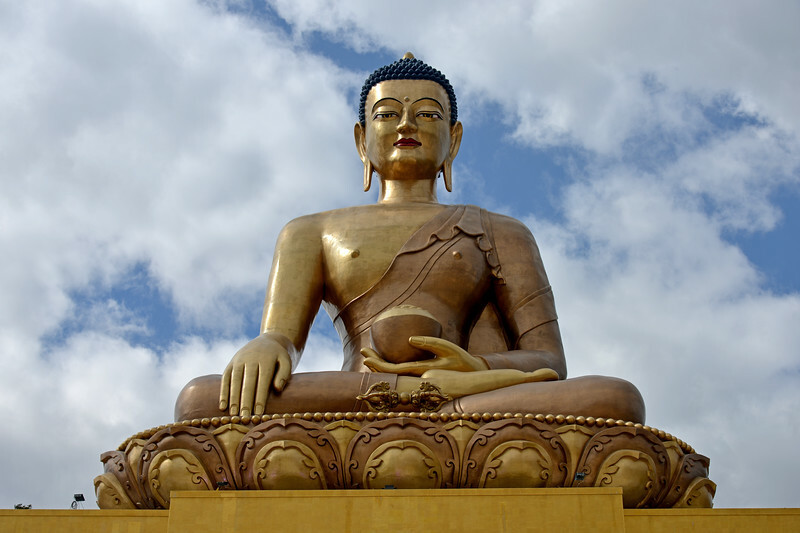 Simtokha Dzong is a small dzong located about 3 miles south of the Bhutanese capital of Thimphu. 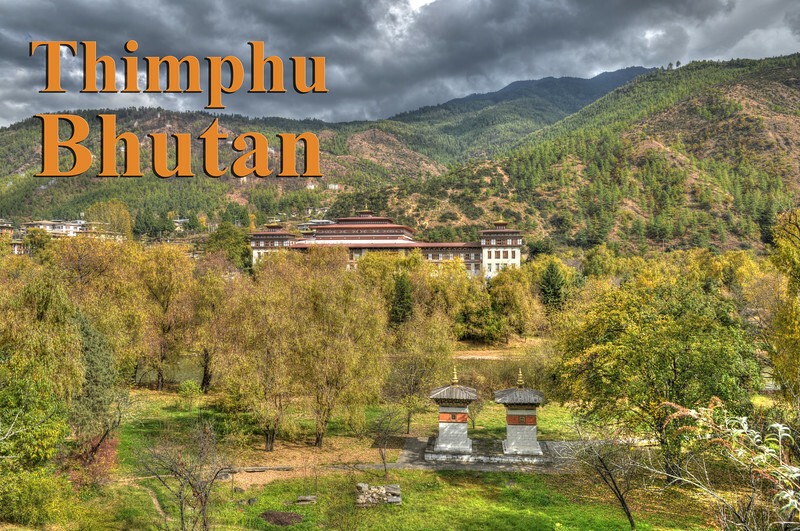 Built in 1629 by Ngawang Namgyal, who unified Bhutan, the dzong is the first of its kind built in Bhutan and was recently renovated. 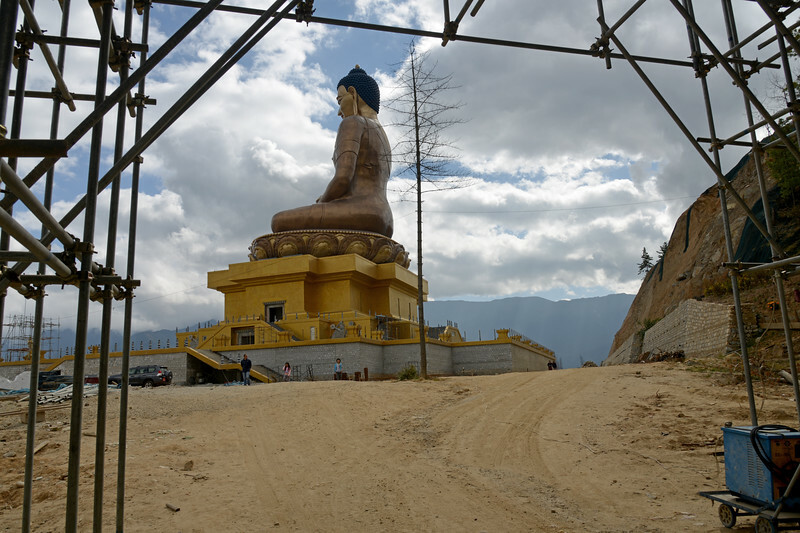 It used to house Dzongkha language learning institutes. 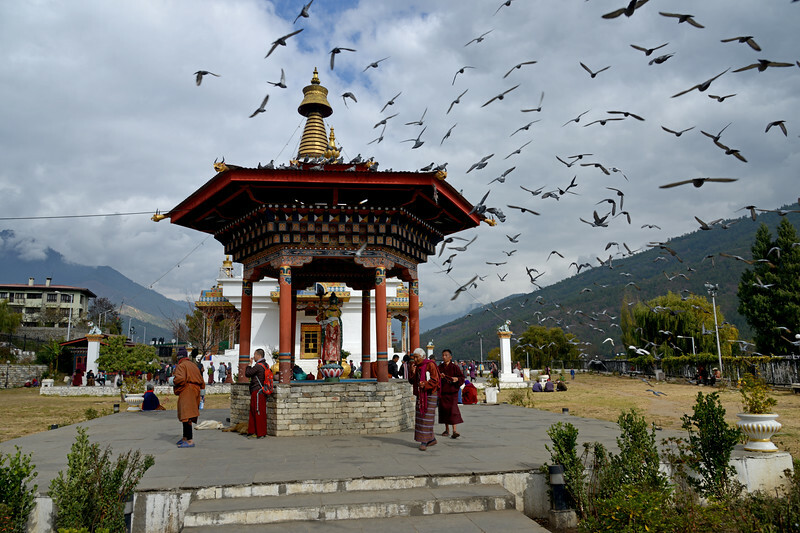 Panoramic image near clock tower at Thimphu market road. 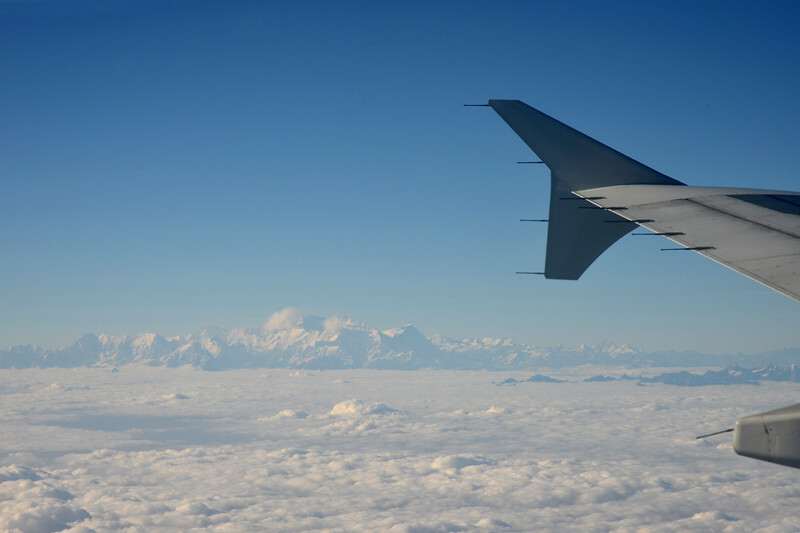 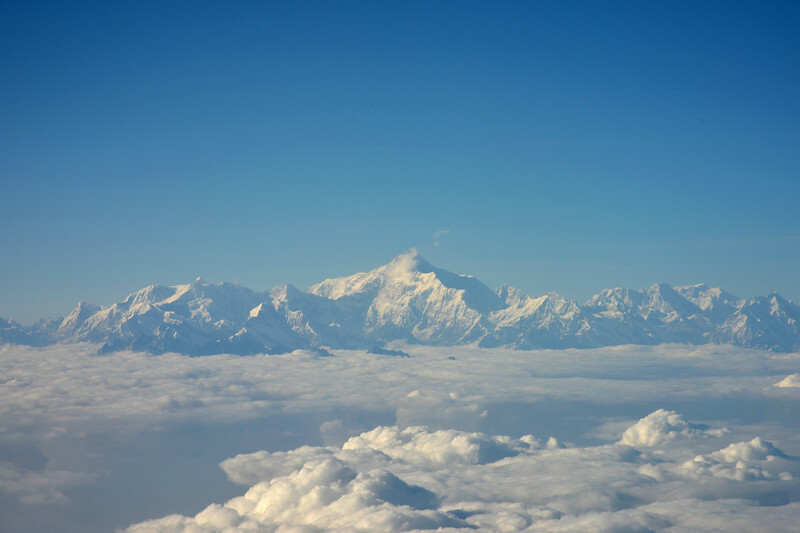 View of the Himalayan range including Mt Everest enroute flight from Mumbai, India to Paro, Bhutan on Druk Air flight. 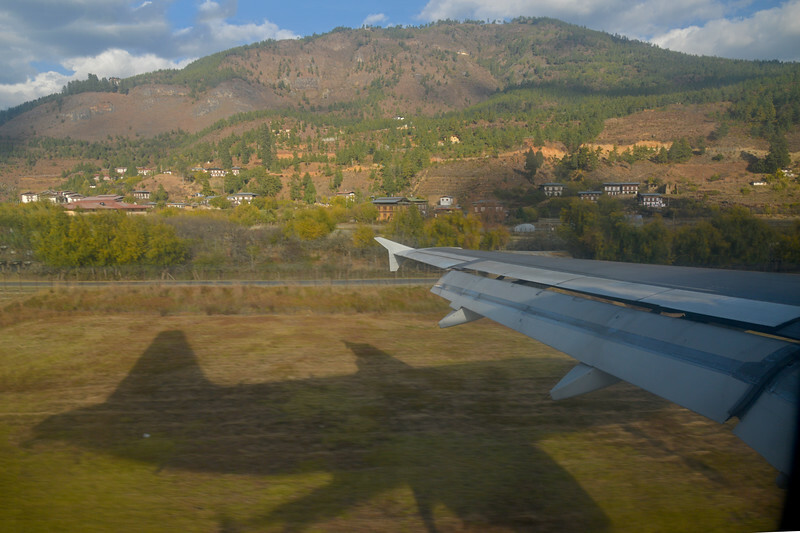 Paro International Airport seen from flight from Mumbai, India to Paro, Bhutan on Druk Air flight. 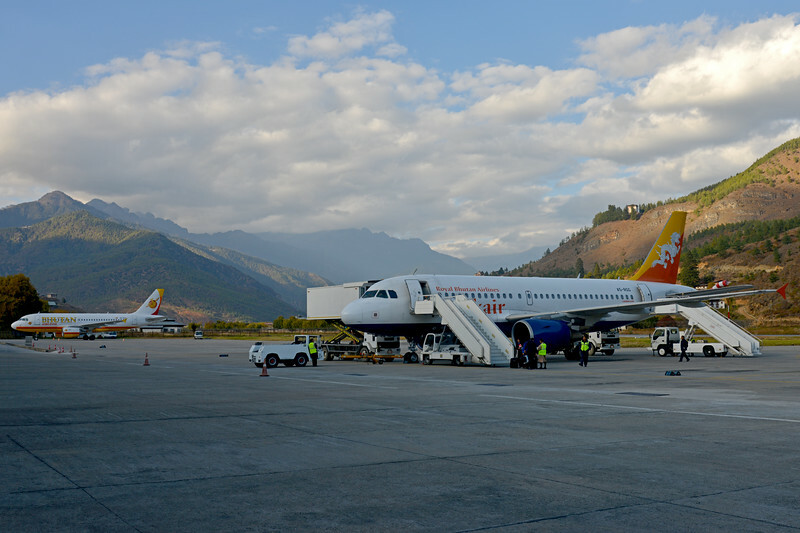 Paro Airport seen on flight from Mumbai, India to Paro, Bhutan on Druk Air flight. 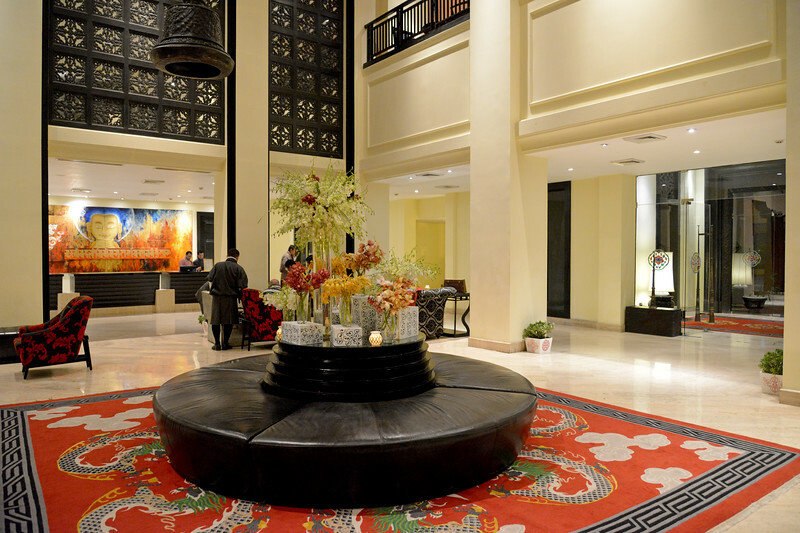 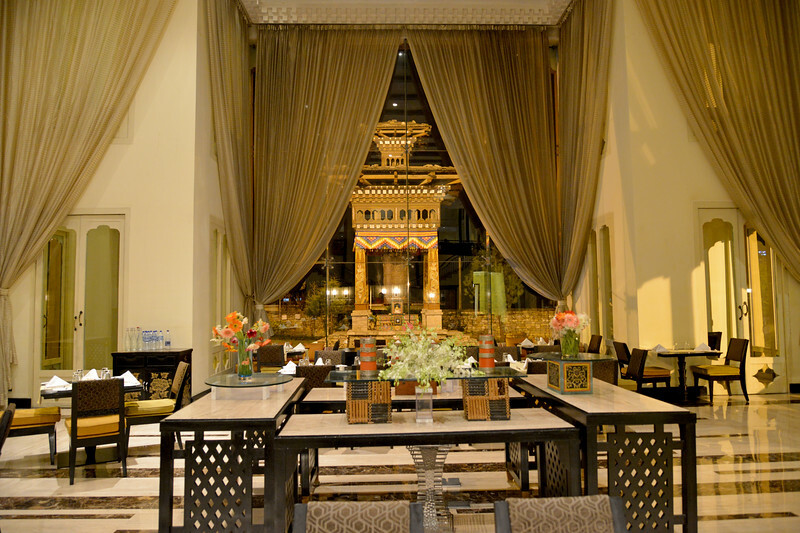 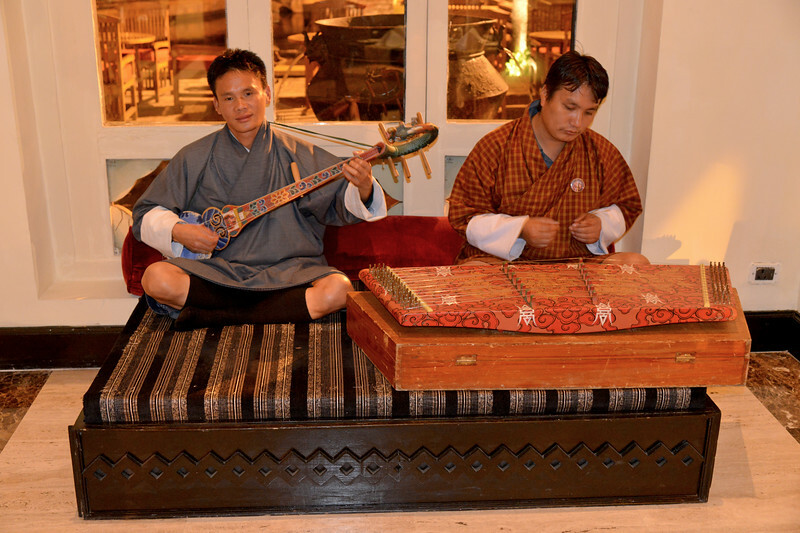 Lobby of Hotel Taj Tashi, Thimphu, Bhutan. 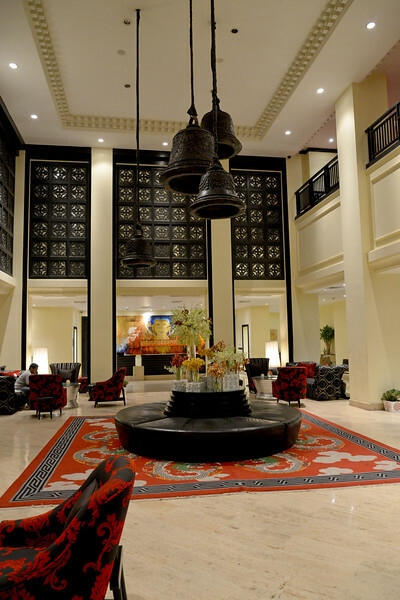 Hotel Taj Tashi, Thimphu, Bhutan. 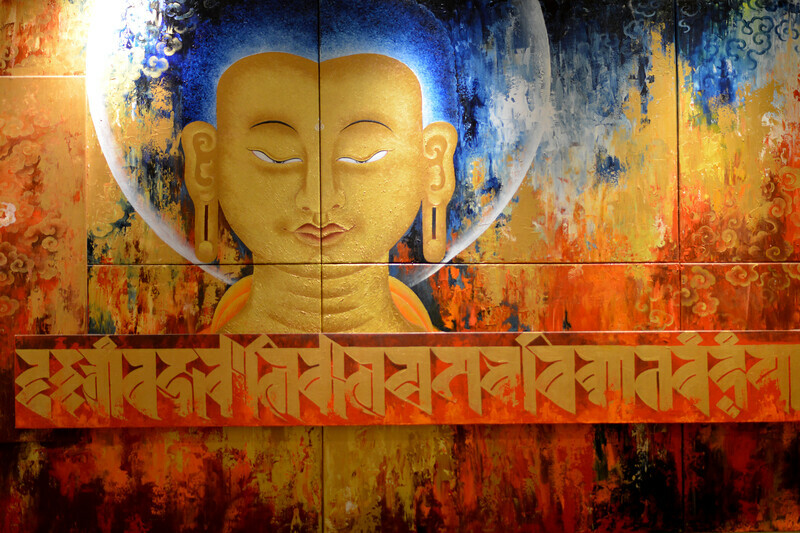 Art at the reception of Hotel Taj Tashi, Thimphu, Bhutan. 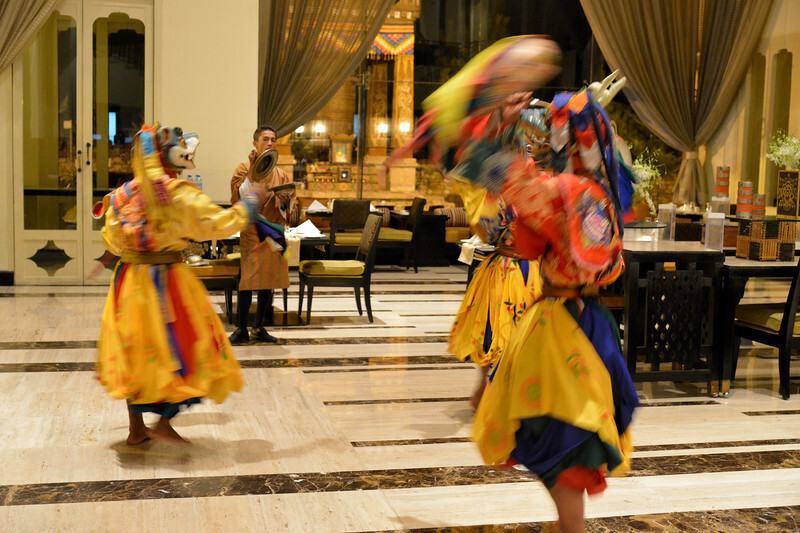 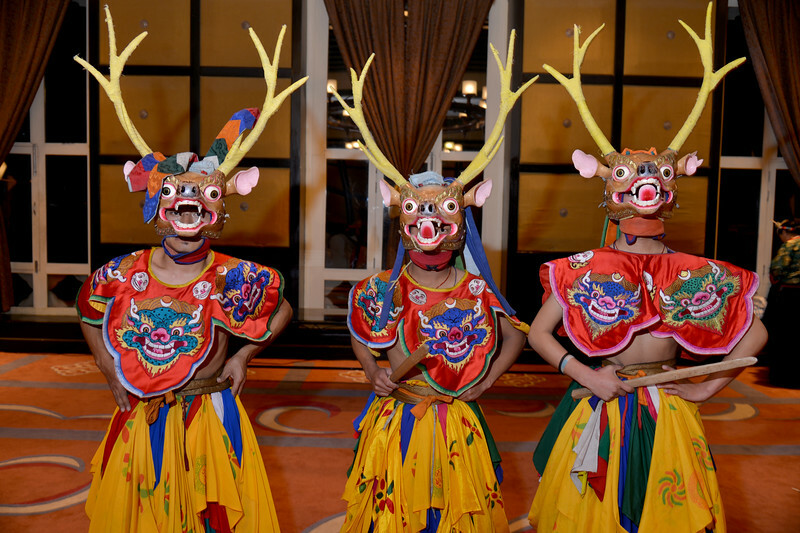 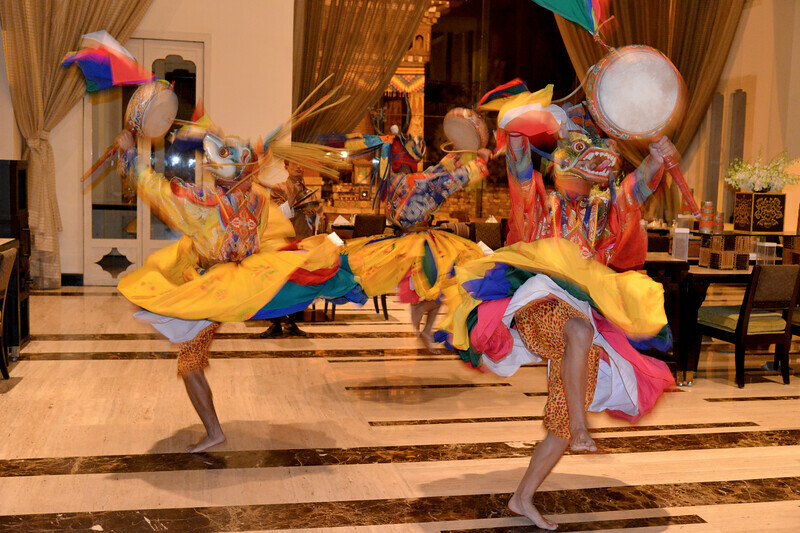 Traditional dance and other cultural programmes at the Hotel Taj Tashi in Thimphu, Bhutan. 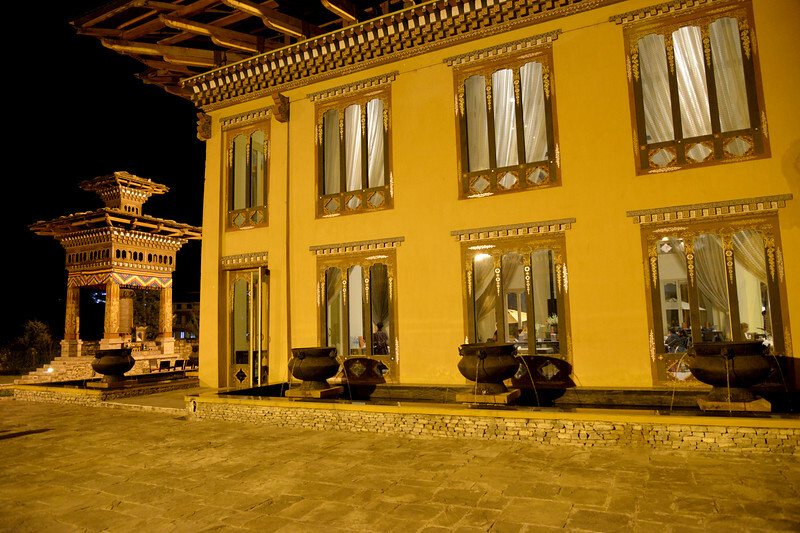 Taj Tashi Hotel in Thimphu, Bhutan. 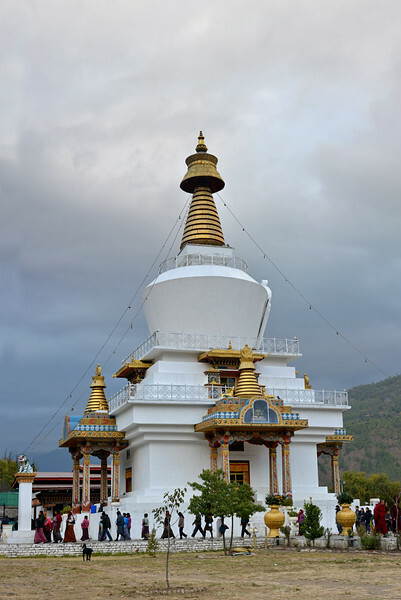 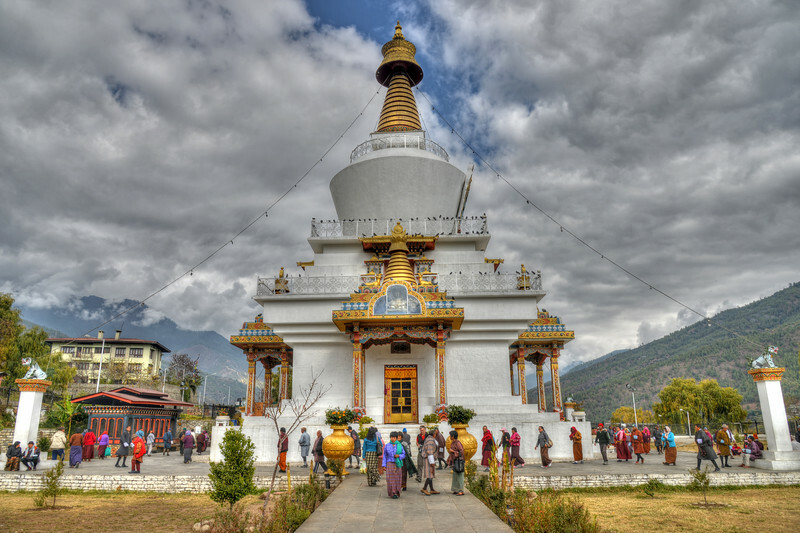 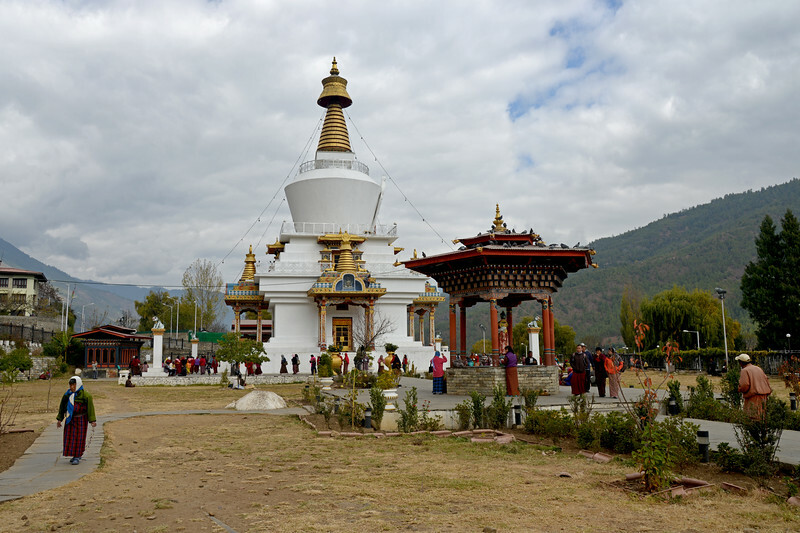 Memorial Chorten, Chhoten Lam, Thimphu, Bhutan. 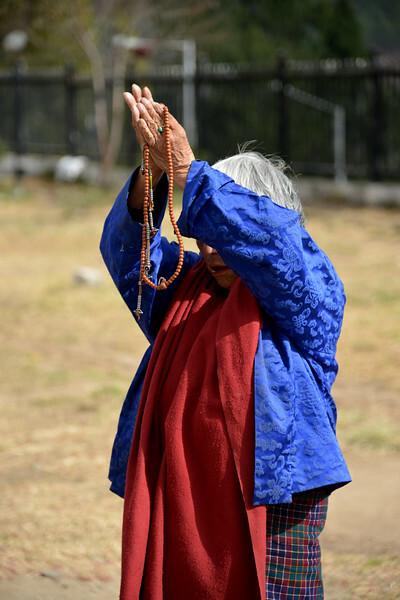 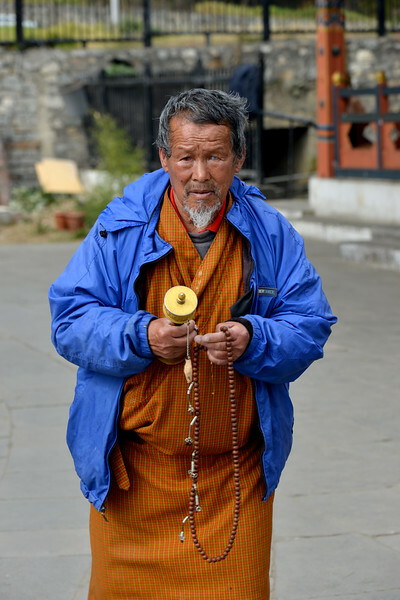 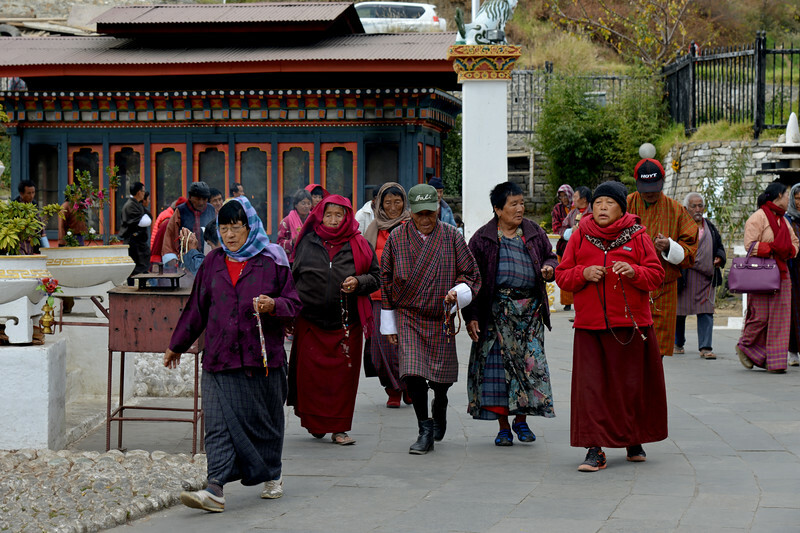 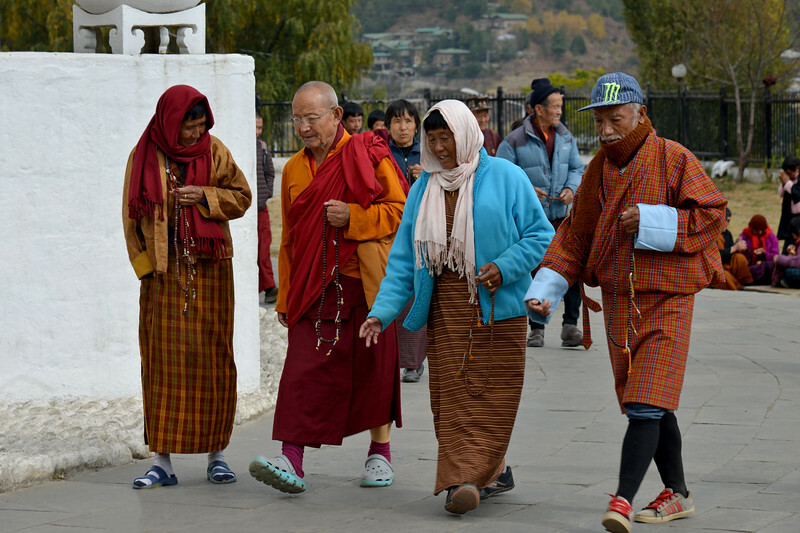 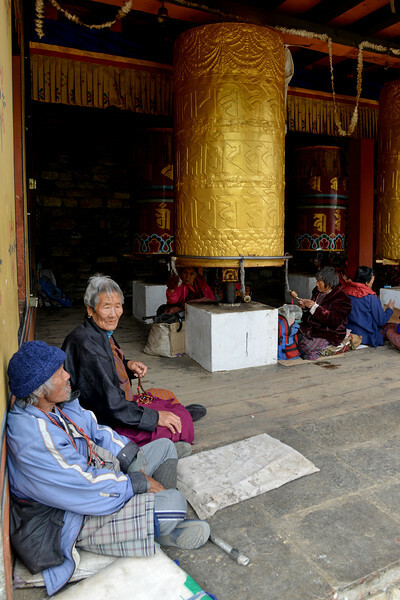 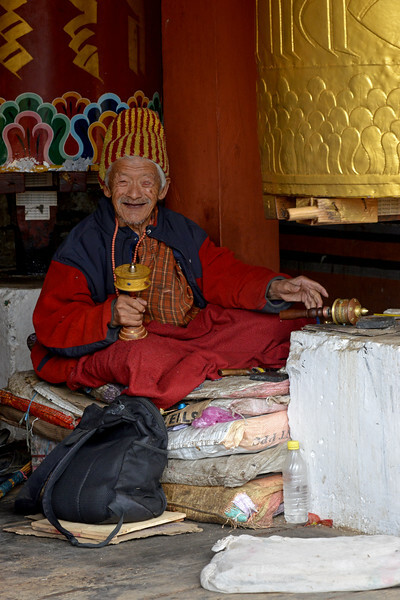 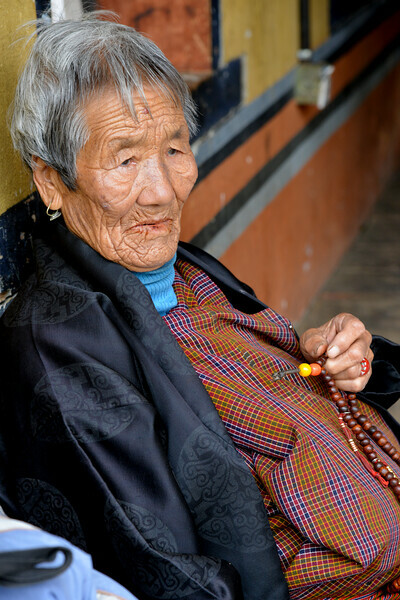 Prayers offered at Memorial Chorten, Chhoten Lam, Thimphu, Bhutan. 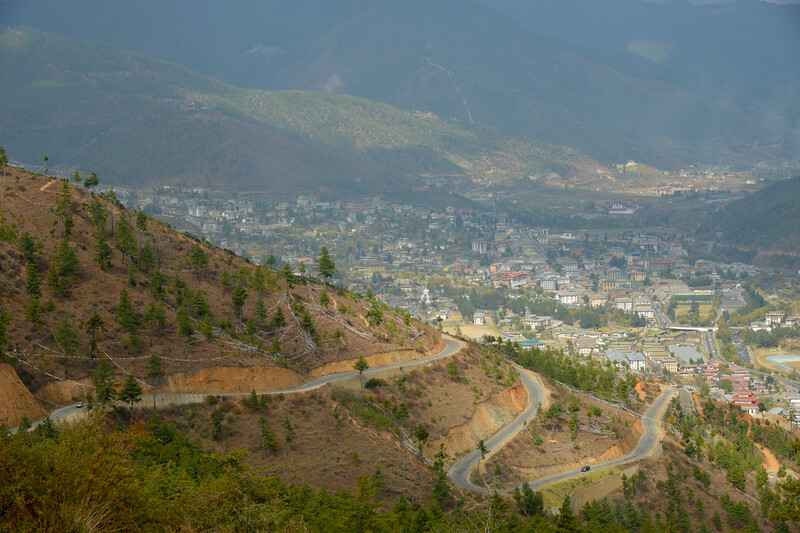 View of Thimphu city from Buddha Dordenma, Kuenselphodrang, Thimphu, Bhutan.